Displaying 1 - 10 of 32 2012 Dodge Challenger reviews. I Can't Wipe The Grin Off My Face When I'm Driveing It!!!! — To bee honest the only negative thing iv found with my R/T is thare is no ash tray ! the look the sound the feel and the espeacaly the exelaration exseed all my exspectations I would recamend this car to everyone ! Pros: Performance and handeling and comfort are grate I'm 6" 3 and it has plenty of room for me! Cons: Haven't found any negatives yet have only had it for a week! CarGurus has 22,918 nationwide Challenger listings starting at $6,827. Dodge Challenger Srt8 392-turning Petroleum Into Happiness. — What a great car, fun and practicle. This car is a much better choice than its camaro and mustang compition, it's roomy and comfortable. If you want that classic car feel without compromise this car is for you. Go muscle cars! Pros: Great power and style, in a supriaingly practical car. A huge trunk and usable back seats make this my main family car. Cons: Big blind spots make backing up and changing lanes somewhat difficult. Snow tires are a must if you dive in winter weather. If you care about fuel economy looks elsewhere, that's not the point of this car. I Love This Car — I love the look of my 2012 Challenger SRT8 . Wish the shaker hood was an option when I purchased the car new in 2012. I can't wait to see how the new Hellcat preforms against the rivals ! Can't imagine more than 700 HP under the hood ! Best Retro Version To Date! — After owning this redesigned classic i do believe its the most fun and best performing car i have owned. Now that being said its also the worst car i have owned that saw the dealership more than any other car i have owned. Overall i will keep her till i die with more mod's of course. I Loved It :p — Power, I think the R/T classic 5.7 liter V8 with 6-speed transmission should be 400 HP out the door not 376. Maintenance- Only had to replace tires and brakes that's because I had too much fun. Backseats, are huge and roomy lots of things took place back there. Handling- amazing for a large car still very nimble. Front seats amazingly comfortable you can road trip in them for sure. Reliability 100%. Price and power go together on a sports car if it had 25 more horsepower this would have made 5 stars in the power and price categories. Pros: Style, the car looks amazing and turns heads no matter where you go. You will always be drawing attention. Cargo Capacity is huge! You can haul anything inside this beast. Cons: Family car nope getting in and out of the backseats is a chore, would not be easy with car seats. Fuel Economy on this car is terrible there is no way it averages what they say it averages. One Fantastic Muscle Car.. — It gets the compliments, the looks to say nothing of it's 470 HP 392 Hemi powerplant. This car is a beast at times but then very docile when driving in town. Depends on how much gas is applied. The brakes are awesome also. Pros: The power and handling is just awesome. Cons: back seat has no room for adults..unless you move the driver and passenger seats up. 'darth' Is Sooo Bad. — The best car I've ever owned. I have had a 2007 Dodge Magnum R/T, a 2010 Chrysler 300S and a 2011 Chrysler 300C...and it far exceeds the pleasure and power of all other cars I've owned. That's it. Overall Satisfaction — The yellow jacket theme was introduced in '70, reintroduced in 2012 as a limited-edition to mild excitement. The fervor seems to have increased as the word has gotten out about the styling, handling, looks of this reinvented challenger. I'm a fan until the end!!!!! Muscle — This car is a true muscle sports car that has the look and performance! Fuel economy was average for this 8 cylinder sports car and maintenance costs were fairly inexpensive. A new set of tires will put you back about 1000.00. The car handles the highway well and was comfortable for 2 on our trips to Dallas, Texas from the Houston area. Challenger is a keeper and hated to sell my dream car due to a new house purchase. 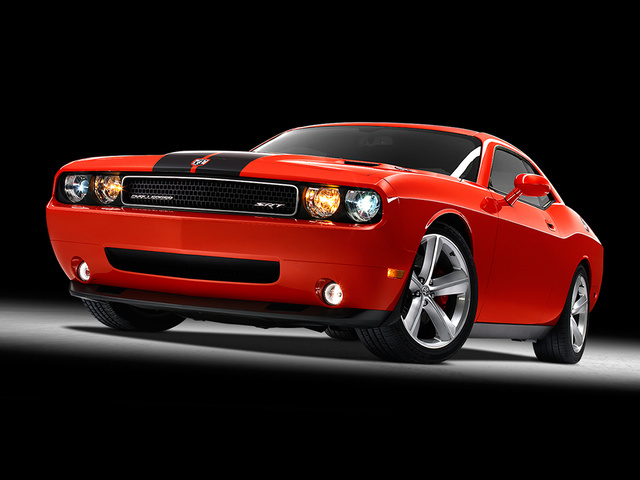 Pros: The Challenger RT Plus has a mean, muscle car look! It handled well and has plenty of power when you need to accelerate. Cons: Really built for 1-2 people, but can squeeze a smaller person in back seat.